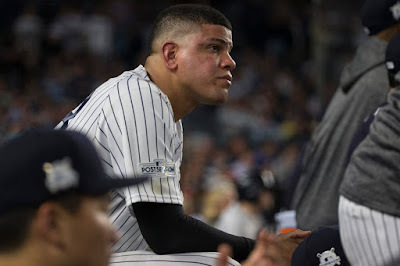 The Yankees avoided an off-the-field fight yesterday when they signed all of their arbitration-eligible players to one-year, non-guaranteed contracts, including Dellin Betances who lost his fight at the arbitration table last year. It sparked angry (and, in my opinion, unnecessary and ridiculous) words from Yankees Team President Randy Levine. This year, Betances gets the $5 million he sought a year ago when Levine said that “five million dollars goes to elite closers, people who pitch the ninth inning and have a lot, a lot and a lot of saves.” Personally, I think Betances will rediscover the magic and will resume his role as one of the elite setup artists in baseball. He is worth the money, regardless of what Levine may think. I was glad to see the Yankees stayed a couple of dollars shy of the $29.4 million total projected by MLB Trade Rumors. Not that MLB Trade Rumors is the foremost authority, but they were fairly accurate in their projections. Gregorius accepting $750,000 less than his projected amount of $9 million was the difference-maker in bringing the total for all players under $29.4 million. 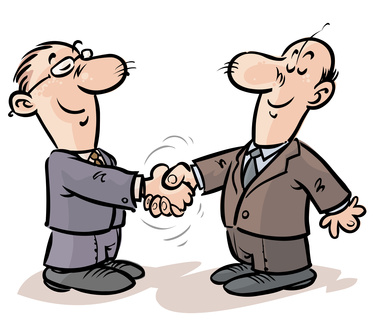 Gregorius has one more year of arbitration before he hits free agency. I really hope the Yankees look to lock him up on a new long-term deal next off-season rather than wait for him to hit the free market. Same with Sonny Gray. Nothing against Darvish, I like the pitcher, but I wouldn’t want to devote in excess of $20 million per year to the pitcher even if the Yankees could somehow find a way to move Jacoby Ellsbury and his heavy contract or trade someone like Brett Gardner or David Robertson. Yesterday, Dodgers Nation posed a question to their fan base if they wanted the Dodgers to re-sign Darvish. 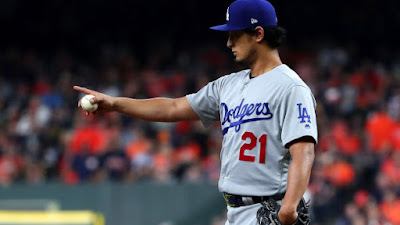 The immediate reaction was negative, with many lingering feelings of disappointment and resentment over the awful World Series performance given by Darvish. Not that I feel a couple of poor (very poor) starts should define Darvish, but the October Stage is not made for everyone. It was a red flag that Darvish might not be a guy who can elevate his game when the stakes are at their highest. If money was no object, then I’d gladly be willing to accept Darvish on the team. But in the grand scheme of things for a team trying to stay under $197 million, the money is better served in other areas. We are now only a month away before pitchers and catchers report to training camp in Tampa, Florida. With so many free agents still available, it would seem that we’ll be playing exhibition games before some big names know what jerseys they’ll be pulling on. 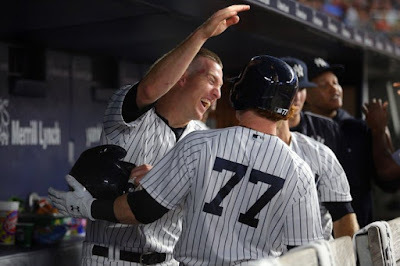 I continue to preach for the Yankees to re-sign Todd Frazier to a two-year deal to take third base and provide backup support at first for Greg Bird. Of course, I’d also trade Brett Gardner despite his leadership qualities and status as the most tenured Yankee to open up a significant role for Clint Frazier. So, my views are obviously ‘Up goes Frazier(s)’. I thought we’d see more baseball activity last week than we did. Admittedly, it seems like I feel that way every week yet we continue to hear crickets. Yes, the Mets re-signed Jay Bruce but the off-season continues to move along very slowly. I don’t believe owners are guilty of collusion. I think this year has been a wakeup for owners who do not want to give extended contracts to guys and end up with ‘Jacoby Ellsbury-like' situations on your hands. Plus, you have the added factor that MLB’s two biggest spenders are furiously trying to keep payroll under $197 million. I am hopeful the current sluggish market conditions bring quality third base help to the Yankees. 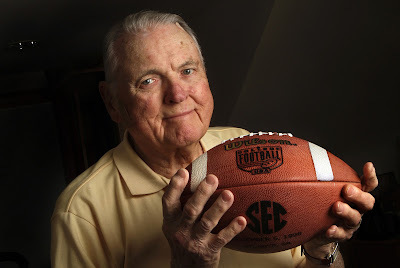 I am very sad to hear the news of the passing of retired sportscaster Keith Jackson. Growing up in the 70’s, he was the premier voice of College Football and so many other top sporting events to me. His style and grace were legendary qualities. So many times in my life I’ve said “Whoa, Nellie!”, thanks to Jackson. He passed away Friday night in the Los Angeles area, where he made his home. Farewell, Keith. May you rest in peace. Heaven has gained a tremendous Angel and we will miss you. Have a great long weekend, Yankees family! Go Yankees!